Sharjah, UAE, April 1, 2017: In line with the National Agenda, the government of UAE aims to transform the country as one of the best in promoting competitive knowledge economy. Hence, the International Conference Committee of Skyline University College has organized the 4th International Conference on Business and Management (ICBM) with the theme: “Fin-Tech Driven Age” on March 26-27, 2017 at SUC Campus in University City, Sharjah. The conference committee this year was led by Dr. Manuel Fernandez and Dr. J. Shanmugan. The keynote speakers of the conference were Dr. Falah Hassan AlHusseni, Financial System Expert and Director of Decision Support Office-Government of Sharjah, and Ms. Fiona Fox, Hewlett Packard Enterprise Chief of Staff-Office of the Managing Director, MEMA. The Best Paper Award went to Assistant Professor Nijumon K John of Christ University, Bangalore India while Assistant Professor Dr. Kavita Chavali of Dhofar University, Sultanate of Oman bagged the Research Scholar Best Paper Award. The conference has attracted a large number of researchers, academicians, scholars, corporate executives, and government officials from 10 countries such as India, Philippines, Sri Lanka, Canada, UK, Pakistan, Oman, Egypt, and Palestine including the UAE. The conference has served as a platform for the delegates to set forth their works and a venue to acquire new approaches and methodologies. ICBM 2017 gave light to different areas such as Finance, Marketing, HRM, Operations, Economics, Tourism, and other disciplines in this Fin-Tech age that the business world is currently in as well as explored the trends to create relevant strategies. “‘Fin-Tech’ has entered into the lives of large population all over the world and was the main theme of SUC international conference this year. Skyline provided academics, industry professionals and government officials a platform to deliberate on the future of ‘Fin-Tech’ and how it impacts common man’s life. We had over 100 delegates both national and international who had a great time during the 2-day conference. We will continue to organize more conferences in the future,” SUC Dean, Dr. Amitabh Upadhya stated. 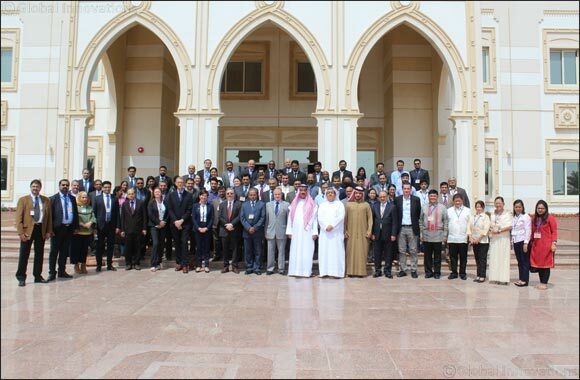 Skyline University College organizes International Conference on Business and Management annually as part of the university’s vision and mission to promote academic excellence throughout the region and the world.